Bergen Linen 2019 Valentine's Day Linen Orders - Order from Bergen Linen today! There is still time to place your Valentine’s Day linen order. 2019 Valentine’s Day is less than a week away. Have you placed your linen order today? When you think of Valentine’s Day, what comes to mind? Conversation hearts? Boxes of chocolate? The color red? Date night? For the Food and Beverage Industry, Valentine’s Day hopefully means an increase in reservations and walk-ins. Fortunately, this year the romantic holiday is on Thursday; it is assumed that restaurants will see an increase over those next few days – Thursday, Friday and Saturday. Are you prepared? Will you be treating customers to special menus, cocktails or desserts? Consider adding some red or roses (or both!) to your day-to-day ambiance. And how about a little mood lighting or background music? Why not treat your guests to something a little special? Are you linens typically black, off-white, white or ivory? Add a fun pop of color by incorporating a red or pink overlay or napkin. Bergen Linen is here to help you with your special holiday selection. Interested? 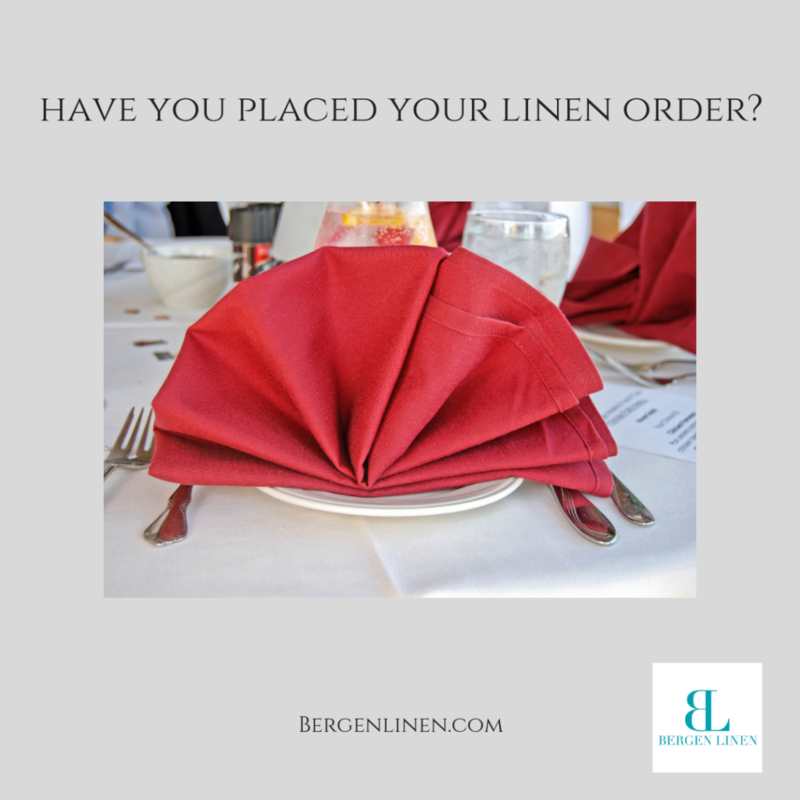 Place your linen order by emailing info@bergenlinen.com or call (800) 789-8115.